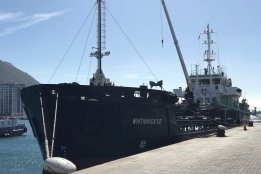 World Fuel Services today announced that it has added two bunker barges to its physical bunker operations in Gibraltar via its Gib Oil Limited subsidiary. The barges are dedicated to Marine Gasoil and Ultra Low Sulphur Diesel, and also offer the option for multiple product segregation. The barges come in addition to its ex-pipe facility located at Gibraltar's Western Arm jetty. "With this new offering WFS continues to deliver the highest standard of service to our customers and expand our offering by providing new services in ports where World Fuel Services can deliver the highest value, especially as we head into 2020," says Mike Ranger, Senior Vice President, Asia/ EMEA, Marine.